How the Algorithmic Trading System Works? Doesn’t it seem to be lucrative to purchase shares when they are cheap? Waiting, however, on the sidelines can reap benefits in the longer term. Patience plays a key role in the stock market today. Stock market fluctuations can prove to be painful. These fluctuations pose a great threat to all the investors who wait for the declaration of what lies on the balance sheets of a company in which the investment has been made. A decline in the share market can be witnessed currently and this can be attributed to the recession phase that has set in. The world economy has currently suffered from the mammoth expansion in the level of debts. With a decline in the profit levels of the companies, it would become more and more difficult for managing the payment of interest due to debts. This would result in a cut in the dividend and could also cause a fall in the share prices. The slump of the stock market can be quite painful for the investors. The tumbling oil prices and also the lag in the emerging market segments have proved to be toxic for the investors in the previous six months. A steep fall in the profits has resulted in a drag down of a wider segment of the market. Investors need to be careful during the turbulent times. Patience pays in the end. You may be tempted to dive into the market with a slight growth. With evolution in the trading segment, it is crucial to make use of trading tools for the benefit of yourself. In the previous decade, the term algorithmic trading has risen to prominence. High-frequency trading and algorithmic trading have dominated the trading world entirely. 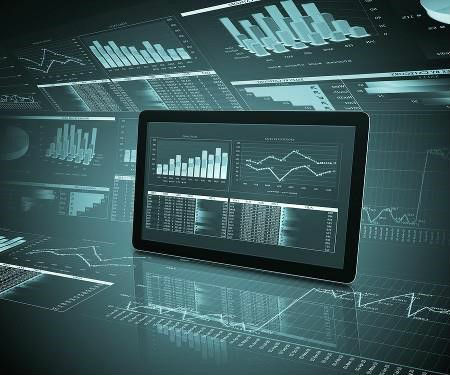 Algorithmic trading can offer immense benefits to the users, and it can significantly impact the current as well as the future state. Read on to dive deeper into the world of algorithmic trading and learn how it can be utilized as a powerful weapon in the fickle market segment. Algorithmic trading refers to a trading system that makes use of advanced mathematical models in order to make the decisions pertaining to the transactions in the financial market segment. The employment of strict rules within the mathematical model developed makes an attempt to calculate the optimal time for placing an order that would have the least impact on the price of a stock. This involves the purchase of large block of shares in a fragmented manner instead of making one big purchase. This allows the complex algorithms to deliver a decision pertaining to the purchase of the smaller block of shares. Algorithmic trading systems are usually employed by the investors of large institutions as they purchase large block of shares on an everyday basis. The utilization of complex algorithms permits the investors to derive the best price possible for their investments without being impacted significantly by the increasing cost of purchase and the stock price. Algorithm refers to a step-wise procedure employed for the accomplishment of any task. Algorithmic trading employs the use of computers that have been specifically programmed to follow a set of pre-defined instructions in order to make profits at a high frequency and speed which are beyond the capability of any person. For instance, consider that a trader wishes to follow two trading criteria that are relatively simple. Purchase a stock of 50 shares when the moving average of 50-day crosses the moving average of 200-day. Sell the stock when the moving average of 50-day drops below the moving average of 200-day. This instruction can be clearly followed by a computer program. This program can carry out continual monitoring of the stock prices and place an order when the condition matches with the one specified in the algorithm. It doesn’t have to be done by the trader because it is solely managed by the algorithmic trading system. Algorithmic trading is also referred to as “Algo trading”. It has numerous benefits to offer. It helps in execution of trading activities at the best possible prices. This trading is done accurately and instantly. It brings down the transaction costs and also lowers the risk of the manual errors while placing trades. The best thing about algorithmic trading is that it can be back-tested based on the historical data available in order to gauge its performance in the present day scenario. Nowadays, most of the algorithmic trades are done through the high-frequency trading. It makes an attempt to capitalize by placing a lot of order across multiple markets at a rapid pace. There are several strategies that are deployed, however, most follow the trend of channel breakouts, moving averages, technical indicators and price level movements. 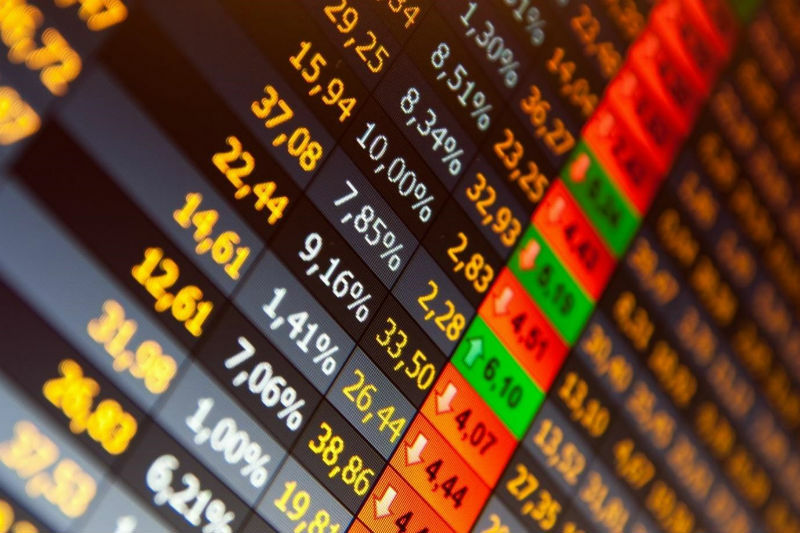 The risks associated with algorithmic trading system include the failure in the system and also the issues pertaining to network connectivity. There may also be time lag between the execution and the order placement. It is also possible that the algorithm may have been imperfect in case of an error. There is a need for more back-testing when the algorithm is complex. Analytical traders must consider learning the basics of algorithmic programming despite the risks. There are a plethora of benefits that outweigh the problems posed due to system failure. Moreover, the frequency of failure in the system can be minimized with appropriate measures. Algorithmic trading systems allow you to have your trading done with the aid of an automated system that follows stringent rules and adheres to a strict trade. There isn’t any need for the amateur traders to learn the tactics of trade or do any sort of market research before diving into the world of trading. Automatic trading is carried out by the systems. These systems carry out all the trades and the research directly from your brokerage account. Traders can start reaping the benefits by utilizing the tested algorithmic trading systems. Making significant amount of money during the first year of entering the world of trading can prove to be quite beneficial as this will help you in building better trade habits, understanding that trading can be made simple by following a set of rules, having less emotional impact on trading activities and also in developing a positive philosophy when it comes to investing or trading. Greed, personal preferences and fear are the emotional features that can cause a significant impact on the trade orders. Algorithmic trading eliminates the negative impact of emotional behaviour attached to trading and also reduces the guesswork in the process of investment. Professional strategies are offered by algorithmic trading systems that permit the experts to have their focus shifted from the decisions pertaining to investment for making money management easier. Algorithmic trading systems study the market aspects as well as the market indicators quite in detail. These systems scour the market automatically for trades that seem profitable. This would save a lot of time needed for manually looking for the trades. Algorithmic trading employs an automated trading system that can run smoothly 24/7. This enables investors to take complete advantage of all the opportunities available when they are engaged in other tasks. Your orders are secured in algorithmic trading systems with the use of advanced risk management strategies. Traders can choose to have multiple trading systems running within their trading accounts. A wide range of selection is possible when it comes to automated trading systems. There are programmers and traders that are working constantly on the development of better and new algorithmic trading systems. Investors and traders can take precise decisions pertaining to the entry, money management and exit rules by furnishing the right details to their algorithms. The biggest attraction of algorithmic trading system is it drives emotion-based trading out of the way to making money. Some trading platforms employ their strategy building wizards. It allows the users of the platforms to choose a list of technical indicators that are commonly available in order to build a set of rules which can be employed for trading automatically. For instance, a user can establish a long trade once the constraint of 50-day moving average rises above the 200-day moving average on the charts displayed on the trading instrument. Users have the option to pick the kind of input which includes the trading limit, market and parameters that trigger a trade. Amateur traders can consider using the default inputs in the platform. Experienced traders have the option to choose their own program by entering their own strategies and custom indicators. Thus, much flexibility is awarded by the algorithmic trading platforms and the results prove to be more promising. There isn’t any investment strategy that can promise 100% success. However, this platform can simplify the task and make it much more automated in comparison to the manual work required while carrying out trade activities. 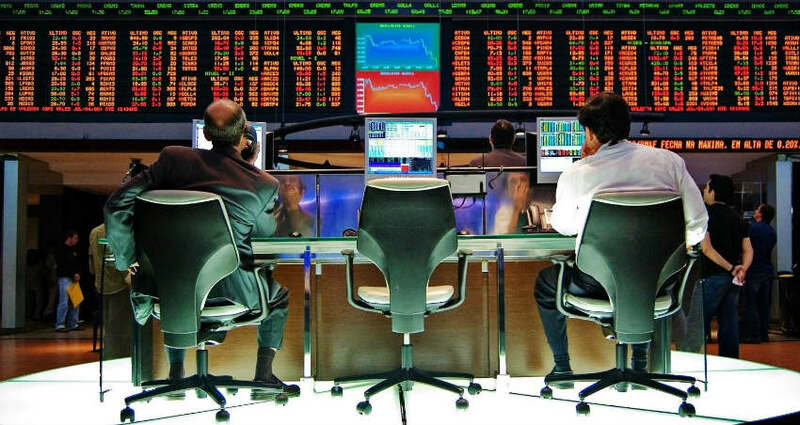 Upon the establishment of rules, the computer system can monitor the stock market to purchase or sell the opportunities based on the specifications of the trading strategies. Based on the rules specified, as soon as a trade entry has been made, there is an automatic generation of the trailing stops, profit targets and protective stop losses in the algorithmic trading systems. A plethora of advantages are offered when a computer is utilized to monitor the trading markets for the opportunities as well as for the trade execution. Here are a few advantages offered by the employment of algorithmic trading systems. Algorithmic trading systems minimize the role of emotions throughout the trading process. Having emotions in check can enable the traders to have an easy time sticking to the trading plans. As the orders of the trade are automatically executed, the traders wouldn’t have to shy away from questioning the trade. Automated algorithmic system helps the traders who are apprehensive about pulling the trigger. This trading system can also curb the people who indulge in overtrading. This system will permit selling and buying stocks when the opportunity continues to seem favourable. Back testing refers to the trading rules governing the previous market data in order to determine how viable an idea is. Absolute rules have to be followed while designing the automated trading system. These rules can be tested on data collected in the past before making investments. This type of back-testing provides traders with a simulation of a trading idea. Thus, it helps them ascertain the expectancy of the system in terms of win/loss per risk unit. As the trade rules are pre-established and the trade has been automatically executed, the discipline is preserved even in a turbulent market. The most common reason for violation of discipline is the emotional factor, such as fear of loss or inclination towards making more profit. Automated trading ensures preventing the latter by following the established trading plan. Additionally, pilot-error is reduced to a significant extent. The most important aspect in trading is to properly planning the trade and then trading the plan. Sometimes, even though a plan shows probable to execute, traders modify the expectancy of the system by ignoring the rules of the trading plan. Although the losses are part and parcel of the game, they can be psychologically disturbing. However, automated trading systems ensure stability by trading the plan. With respect to changing conditions of the market, the automated systems are programmed for generating automated orders when the trade specifications are met. Time, even in every second, plays a vital role in determining the outcome of the trade. Usually, once a position is locked, the remaining orders are generated automatically, which include the profit targets and protective stop-losses. The pace of activities in a share market is not always constant. It would be shattering to have a trade blow past a level or reach the profit target way before entering the order. This can be prevented with the use of automated trading system. Automated trading systems provide the flexibility to handle multiple accounts as well as strategies simultaneously. This flexibility increases the efficiency of executing trades right down to milliseconds. Also, the computer system provides humungous opportunities by examining various markets. The automated trading system is a highly advanced trading method. Based on the trading platform, an order may not be present in the server, rather may get stored in the computer. Orders can be lost due to poor or no internet connectivity. Discrepancies may occur between “strategy generated theoretical trades” and “order entry platform”. Every trader must familiarize oneself with using automated trading systems to improve their learning curve, starting with small-sized trades. abnormalities, such as missing and errant orders can be quickly resolved and identified if the system is thoroughly monitorized. It refers to immoderate curve fittings, resulting in a trading plan that is undependable in live trading. Sometimes, traders play with the parameters to obtain the “perfect” plan, but collapse when it is executed in live market. Value is added by the traders by elevating the return efficiency, which is a statistical measure of performance. Value is added by maintaining consistency in performance, irrespective of the market trends. By utilizing the algorithmic trading strategies, portfolio failures can be avoided with the ever-changing financial markets. It is better for beginners in binary option trading to be associated with auto trade software or a signal service which allows the traders to place the signal while giving a signal. However, most of the auto trading programs are built poorly, resulting in shrinkage of one’s accounts within days. The best way to make a trade would be to conform the quality signal to a secondary source indicator. Learning the basics of trade, movement of market and currencies by utilizing sound software can assist in placing a successful trade in the share market. To improve one’s edge in trading, traders always search for the next best strategy and algorithm. Recent algorithm trading systems search for excellent trading opportunities in the market with high risk reward profile. The algorithms used by the traders help in processing the information (stock or currency market), thus enabling the traders to carry out their work. The trader need not be well-versed in technical aspects as the algorithm takes care of the hardest part. 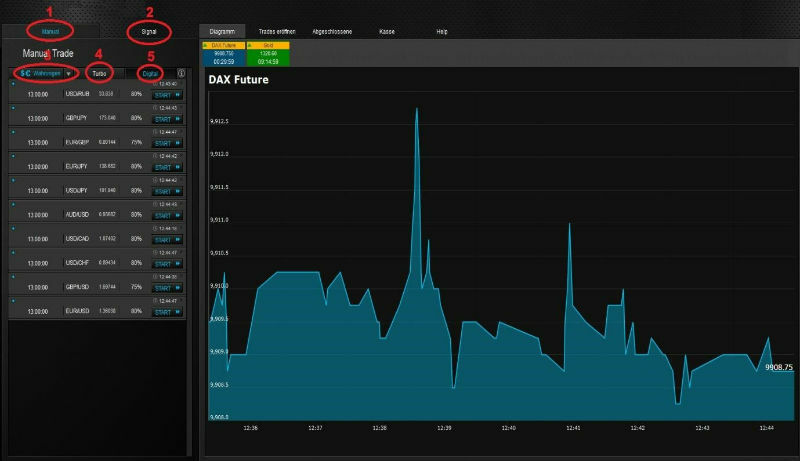 The algorithmic software automatically shows the present direction after selecting a ticker. The algorithm is programmed to forecast the trade’s trend. The algorithm automatically changes with changing market conditions to give accurate trading signal. “the next big thing” in the binary options market segment? The trades that occur in the binary options segment are permanent and get terminated only with their expiry dates. The expiry times/dates are not uniform for all trades. There is no uniformity in the percentage payouts and there exists a variation as per the fluctuations in the market conditions. 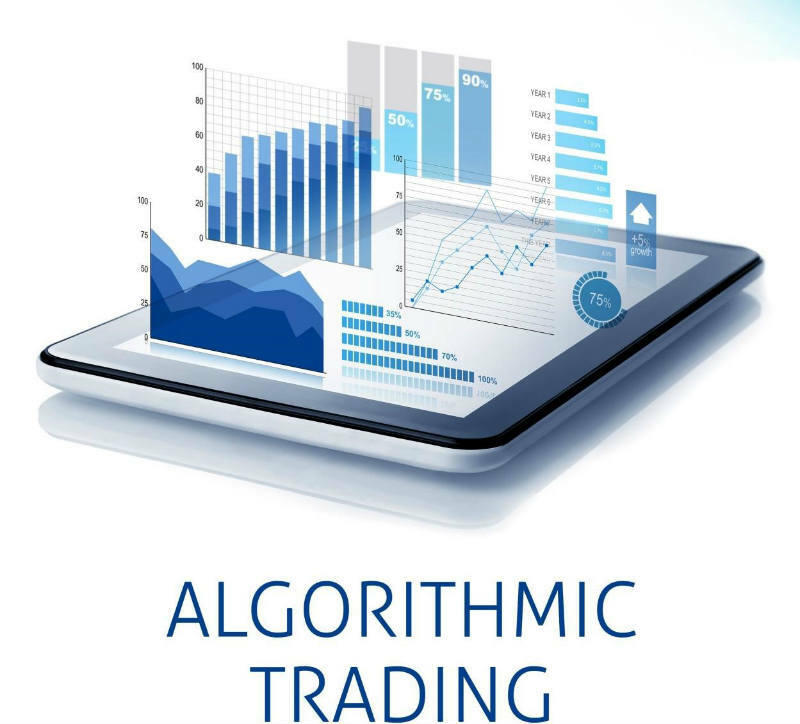 Several attempts have been made in the adoption of algorithmic trading techniques which make the entire binary options market segment unique. The following steps are adopted to make use of the algorithmic trading techniques into the binary options market segment. If you are familiar with the theory of Trading Chaos, you will understand that the events that occur in the marketplace can be patterned after the past events that took place in the market when the conditions that have already occurred in the past reoccur in the present time. This explanation simply summarizes that the market evolves in a cyclic manner. In order to be able to instruct a robot to follow a set of rules, there is a need to develop rules based on historical data. Once the rules have been framed, a testing needs to be done against the rules. For this reason, there is a need to procure the data of 10 to 15 years based on which the trading algorithm can be developed. In the segment of binary options, there is a need to develop an algorithm that would last for a specific time period. There is also a need to choose an expiry date that will be accommodated in the time period. This should incorporate the profitable trade period within so that when the trade expires, the desired outcomes can be achieved. There is not much choice available when it comes to testing a demo in binary options. You need to create a small live account with any of the brokers that offer a demo account to all the live account holders. You can then consider testing the algorithm on live as well as the demo account by making use of the smallest trade size. You can then consider an evaluation of the algorithm and also modify it as per your desires. The binary options market or any other financial markets always keep evolving. Hence, there is a need for you to evolve your algorithm with the evolution happening in the marketplace. You can head for a disaster if you employ a static algorithm in a marketplace that is everevolving. Algorithmic trading is quite possible to accomplish with the binary options market segment. It is, in fact, the latest thing to grab the attention of the binary options traders. It is possible to trade without having any knowledge of the marketplace and yet make money when one opts for trading binary options. Are you still wondering how can that be made possible? Algorithmic trading can prove to be pricey when used alone. However, when coupled with binary options, it will cost nothing. There are several services that demand money for the trading signals that are acquired with the aid of algorithms. You can easily opt for algorithmic trading with binary options for free of charge. There isn’t any algorithm that isn’t complicated. However, the functions of the software associated with the algorithms are quite simple to use, and the usability offered is nothing but outstanding. The companies that offer the algorithmic trading software for binary options state that it is extremely easy to work with these software and the process is entirely hasslefree. Along with being hassle-free, algorithmic trading can make a lot of money. Many algorithmic trading tools that are being utilized in the marketplace hold a lot of potential. For instance, claims have been made that OptioNavigator has proved to be accurate 90 percent of the time. This is a classic example of achieving a great result from algorithmic trading. Coupling algorithmic trading with binary options reveals whether you have made money quite quickly. The results can be achieved quite quickly in a matter of few seconds. Although binary options seem to be complicated, they can look a lot easier when coupled with algorithmic trading. You just need to follow the advice given by the trading robot employed in algorithmic trading. 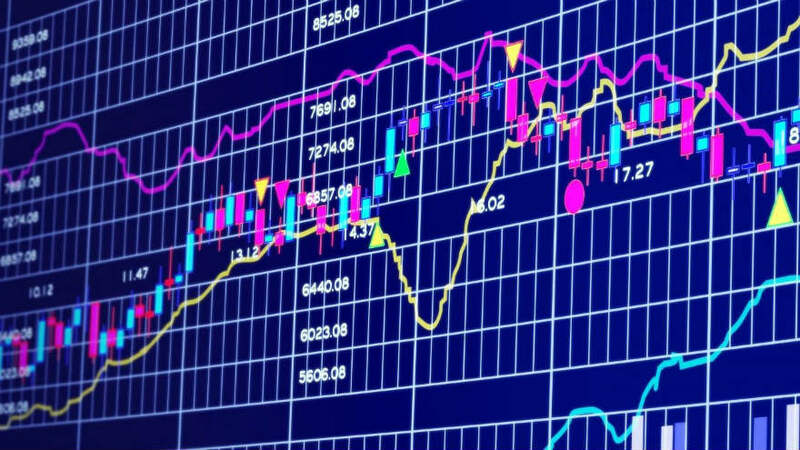 You don’t really have to go for a sophisticated computer when you are planning to use algorithmic trading with binary options. The trading robot used is a software tool which can be employed online 24/7 through any computer or laptop with network accessibility. There is even a provision to check the binary options trading robot with the aid of smartphones. Algorithmic trading, when coupled with binary options, can be used on any kind of asset that you wish to trade. A trade can be placed with the aid of any kind of asset and for the trading amount that is permitted by the binary options broker. The choice is entirely yours and there isn’t any limit set by the trading bot. The coolest thing about binary options and algorithmic trading is that there is a confluence of technology and the trading profits. This is the reason why binary options and algorithmic trading are used so widely. Algorithmic trading requires you to put your entire faith in software devised by a man. You have to let it work at your own expense. This isn’t the case with binary options. The trading robot will certainly guide you on what has to be done; and placing a trade is entirely your choice. Without your consent, no trade is placed and hence this offers you a total control over your money. Have you ever tried binary options with algorithmic trading yet? Binary options and algorithmic trading have the potential to eliminate a lot of guesswork in trading. The algorithmic trading bots have the potential to place accurate trade without any hassles. There are several easy and fast trading robots that employ algorithms in order to carry out a marketplace analysis for determining the future movements. Based on the algorithms, advice is offered by the robot regarding the next trade to be placed. There are several algorithmic trading robots that are available in the marketplace today. You can try these robots today to reap a lot of benefits. The stock market is always the best way to scale up your business in a smart way, you just need to an advanced tool that can handle this trading, and it can learn from your execution.